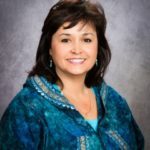 Sheri Buretta serves as the Chairman of the Board for the Chugach Alaska Corporation and has served on the AFN Board since 1998. 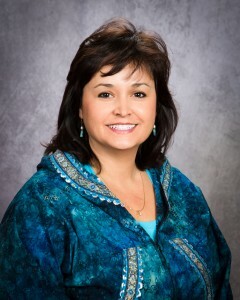 She is also the director for Alaskans Standing Together and the Foraker Group Governance Board. Sheri is the Board Treasurer for the Tatitlek Corporation Board and is the President of the Russian Orthodox Sacred Sites in Alaska, Inc. (ROSSIA). Previously, Sheri has been the Co-Chair for the Mayor Mark Begich Transition Team and has served on the Exxon Valdez Oil Spill Advisory Group. She was also the Director for Prince William Sound Regional Citizens Advisory Council. From 1999 to 2012, Sheri was the Director for the ANCSA Regional Association, and she was President from 2004 to 2008. Born and raised in Anchorage, Sheri is Alutiiq from Tatitlek. She loves to ski and travel to Hawai’i with her husband, Gary, daughter Anastasia, and son Bo. Sheri also enjoys teaching skin sewing during Tatitlek Cultural Heritage week.